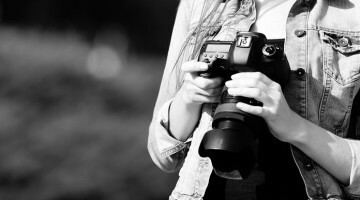 Adele might disagree with this one, but a team of researchers at the American Psychological Association have published a study reporting that taking photographs of an experience can actually increase the enjoyment of that experience. With several lab and field studies conducted, each of the over 2,000 participants were either banned from using or allowed to use a camera while on safari, at a concert, museum or restaurant. In an attempt to save face, Bridgend County officials have christened a pair of benches located on the shore in Porthcawl as the UK’s first “selfie benches”, although that was not their original intent. It turns out, the benches were just installed the wrong way around, and instead of pointing at the beautifully picturesque seaside, it points towards the not-so-scenic Seabank Hotel. While India’s population accounts for roughly 17% of the world’s population, about half of the 27 or so selfie-related deaths that occurred in 2015 were in India. Trying to stop the tragic phenomenon, Mumbai police announced they’ve identified 15 where “selfies can be dangerous” and have announced them as being “no-selfie zones”. To do so, the city’s municipality will be requested to deploy lifeguards and put up warning signs, and police will be giving warnings. Some days, the Internet makes being nice a challenging prospect, but we’ll give it a try here. Selfies, many of which will be burned into our memories for a very long time, are a permanent part of modern culture. I was rather humored (and simultaneously disturbed) to see selfie sticks being sold in the toy section of Walmart yesterday. Targeting consumers when they’re young, I guess, is a way to ensure long-term profitability. However, not every great destination permits devices such as selfie sticks to be used while visiting. If you’re a self stick-toter, a new website may be your best friend. The site canibringmyselfiestick.com takes inventory of numerous landmarks around the world and gives you a simple answer as to whether or not you are allowed to bring the accessory. It is my belief that people are forever destined to be stupid, and the quest for dangerous selfies is a prime example. Earlier this month, Todd Fassler of San Diego, CA thought it would be great to get a selfie with a rattlesnake. Claiming to have previously housed a pet rattlesnake of his own, he must have figured it was perfectly normal. However, the rattlesnake wasn’t really feeling it that particular day and struck Fassler, landing him in the hospital. But, it wasn’t until after he was discharged that the real surprise happened – a hospital bill of over $150,000 for his five-day visit. In May of 2014, a Cessna 150 plane was involved in a fatal plane crash at the Front Range Airport, just outside of Denver, Colorado. A report released today by the National Transportation Safety Board reports the reason for the crash, which killed the pilot and passenger on the plane, was likely caused by the pilot taking selfies in the cockpit. Time magazine just named Makati City, Philippines as The Selfie Capital of the world. And as a proud Filipino I have done my shares of selfie in the interweb. There are tons of selfies in the internet taken using a smartphone, but those do not compare to the greate selfies I have seen was on Flickr, where people take the time to light or setup their shots and use “real cameras” to take their selfies, just to name one that I always follow is Dustin Diaz’s flickr.